Baby Sleeping Guide - it's BABY time! It’s no secret that baby is the only one in the house who gets any amount of shut-eye. But sometimes issues may arise that can affect your baby’s sleep aside from the usual nightly feedings. For those instances it’s very easy for parents to find themselves at their wits end from lack of sleep and an inconsolable baby. Fortunately for you, we have tips to help you get through those moments. Certain factors can prevent your baby from getting a good night’s rest such as an illness, ear ache or teething. Additionally, when your baby reaches certain milestones they’ll wake up more. I can remember when our son was born thinking to myself ‘it won’t be like this for long’ after getting up with him for what seemed like the millionth time. Then finally once he was sleeping all night he would go through bouts of waking up in the middle of the night. In this section I’ll cover some simple solutions to try to help your little one (and you) get a restful night. I’ve also added favorite tips tried by other moms that worked for their babies to get them off to dreamland. 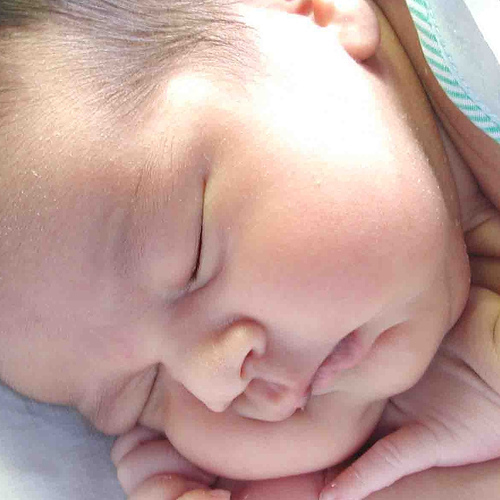 Learn how to help your baby sleep better and stick to a consistent routine.